In addition, gum recession often results in root sensitivity to hot and cold foods as well as an unpleasant appearance of the gum and tooth. When significant, gum recession can predispose to worsening recession and expose the root surface, which is softer than enamel, leading to root decay and root abrasion. What is the Pinhole Surgical Technique™? The Pinhole Surgical Technique PST™ is a new procedure in which Drs. Hager or Bowers have received specialized training and uses patented instruments to make a small hole in your gum and add collagen material which stabilizes the area of gum recession. This new method is simple and minimally invasive. Click here to learn more about PSTTM. 5 out of 5 stars based on 44 Gum Grafting reviews. Outstanding in every way! Our community is very fortunate to have such wonderful professionals! Thank you for such great care. I have had a wonderful experience with Dr. Bowers. She is friendly and kind every time I come in. Her office is clean and trendy. I would recommend all my friends and family see her. Everyone you engage with at this facility has a strong customer service focus. I am very pleased with my procedures. I could not be more pleased with every ascpect of my experience here! The procedure, staff and Doctor! They were all very friendly and they took their time in explaining the procedure in detail with me. I would highly recommend Dr. Bowers to any of my friends or family because I know they would be in great hands. Loved everyone. Thank you all! Very friendly and knowledgeable Dr. Great staff. Very pleased with their work. The patient was my daughter. Was a great experience, for a procedure that was scary! Staff was supportive and compassionate with my daughter, and with us (her parents)! I was nervous going in for my graft surgery. Dr. Bowers and her entire staff helped put me at ease. It was a very easy process. The procedure itself was not fun at all. However Dr. Hager was incredibly gentle and made every effort to make sure I was comfortable. I well informed every step of the way. I knew LONG before the procedure what was to be done, why, and how much it would cost. There were no surprises. I especially appreciate their post-op accommodation when I left without a specific mouthwash. To save me a 30 min trip from Edmond to their office, they reached out to Dr. Bower's office who quickly assisted me. My post-op phone calls and questions were quickly answered, and I never felt like I was asking too many questions. I would HIGHLY recommend this team. Thank you for taking such good care of me! Dr. Hager is the best, and his staff is wonderful! I had a great experience with Dr. Bowers' office. They made everything easy. Great experience overall. Excellent care by Dr. Bowers and her team. have had three gum grafts with three different periodontists. 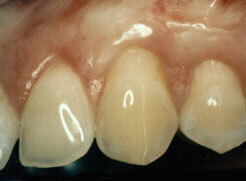 Dr. Hager's gum graft was the least troublesome and easier tolerated. I am pleased with the procedure, healing process, and more importantly the time spent with the explanation of why it is a necessary procedure for me. 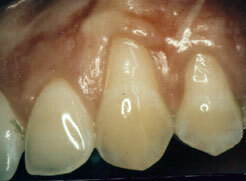 I would recommend him to friends and family for periodontal work. Staff was very kind to my daughter. Dr. Hagar did amazing with her surgery.